1. Light in color with dark screen printed scallops, these modern laundry hampers are made from 100% linen and have handles made from dark brown leather. A heavy canvas lining helps keep these hampers sturdy and durable. Cream Scallop Hamper by jennarosehandmade. 2. 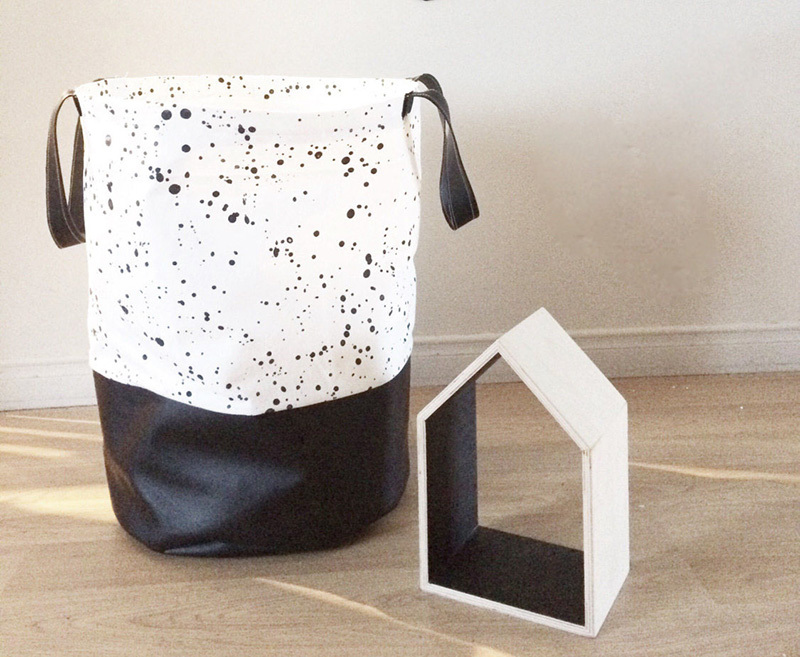 Made with 100% cotton fabric and faux leather, this funky black and white speckled laundry hamper is perfect in any room. 3. 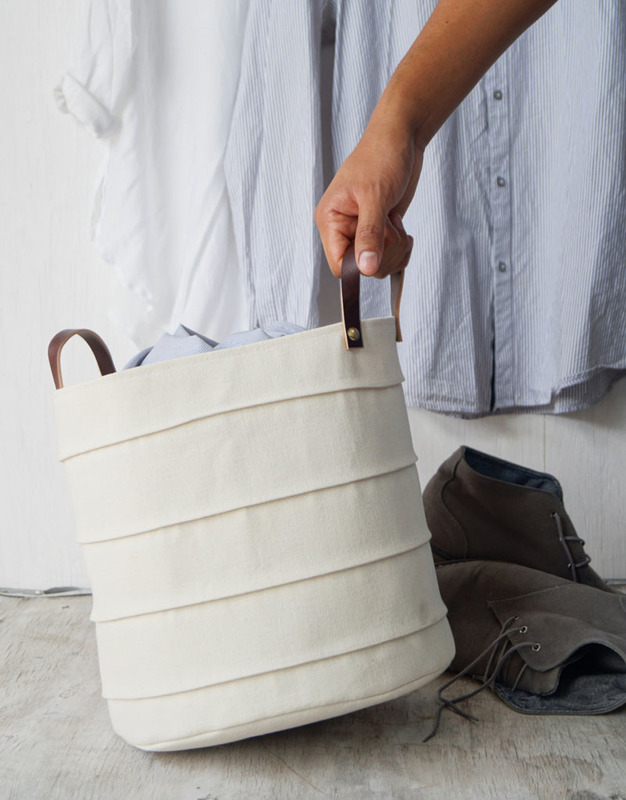 Delicate and light in an off-white color, this laundry basket has French seam detailing and brown leather handles. The exterior of the basket is made from 100% cotton canvas, with the lining made from 100% organic cotton, making it appealing and heavy-duty. 4. 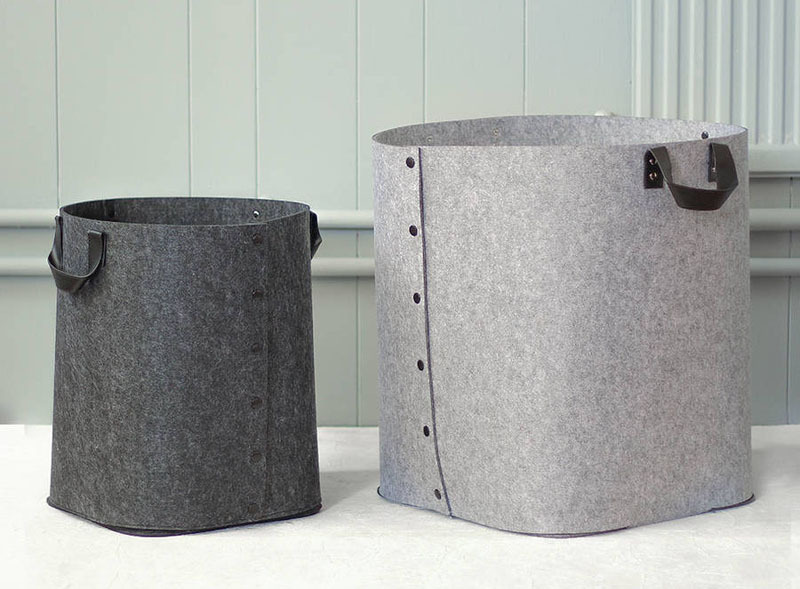 Made from polyester felt, these grey laundry hampers have cut out circular patterns. Sharp, clean lines make these hampers suitable for any modern room. 5. 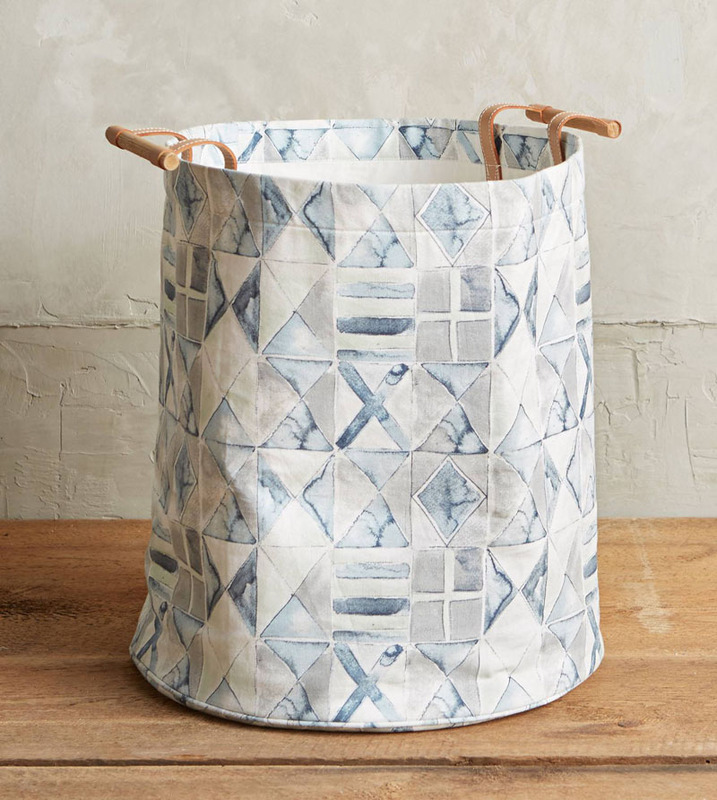 In shades of white and indigo, this washable paper basket is made from natural cellulose fibres and looks as though it is crinkled. 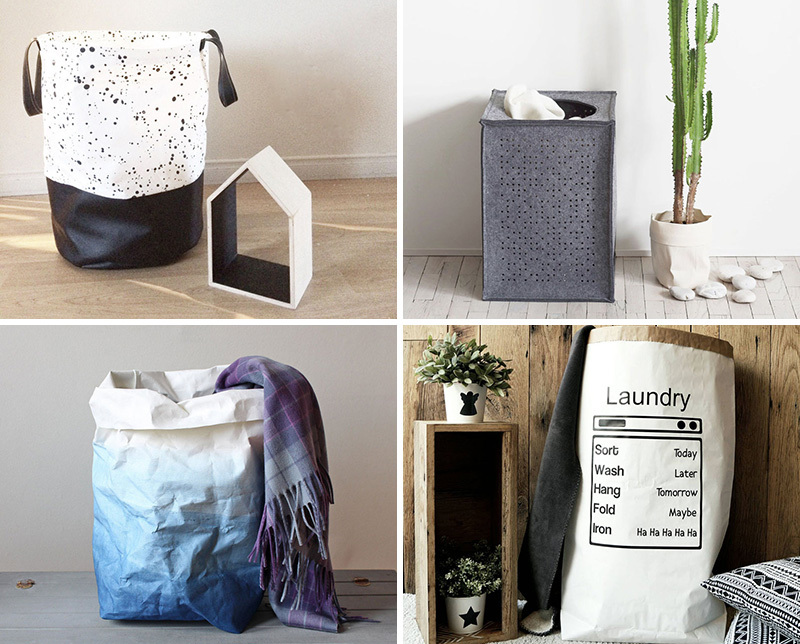 Distinctive in design, this lightweight laundry basket is functional and stylish. 6. 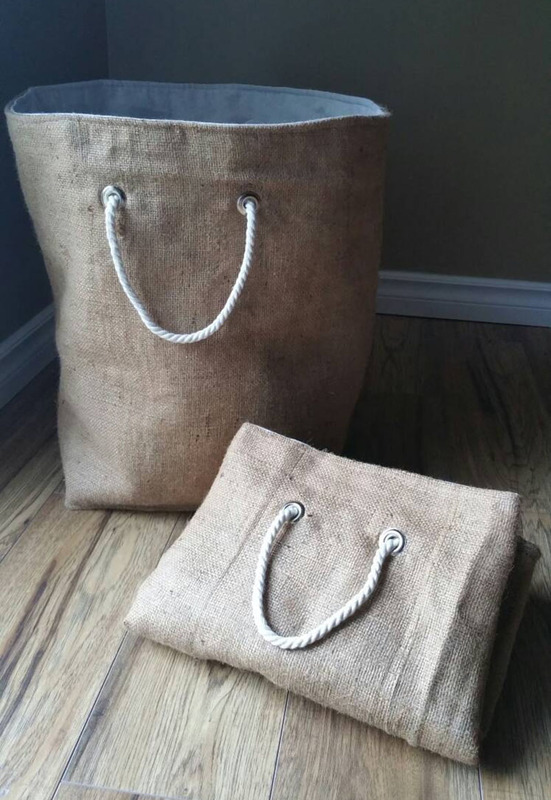 Made from natural burlap, 100% cotton canvas, and rope handles, these laundry hampers are reversible and perfect for carrying clothes and extra heavy items. 7. 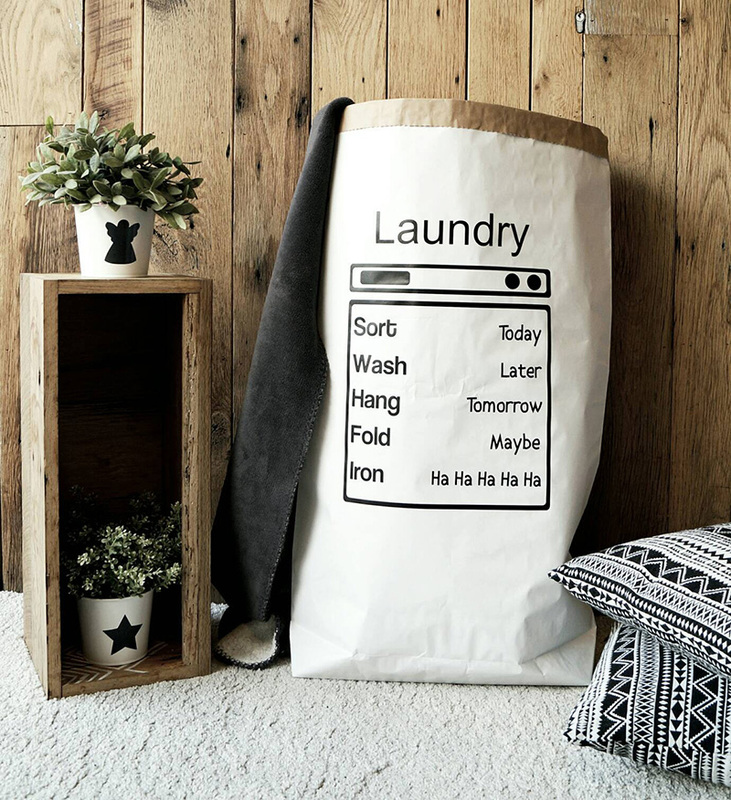 Funny and specialised for laundry, this paper basket is made from 3 ply reinforced kraft paper, with a matte vinyl sticker on the front. 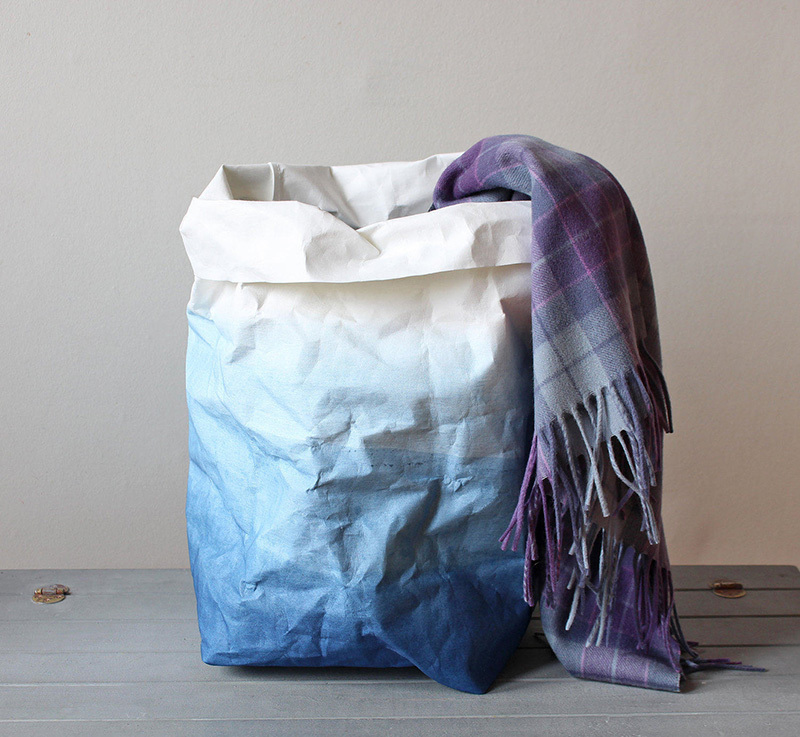 Standing at over 33 inches, this paper basket can hold up to 70 pounds. 8. A unique blue and white water color pattern adorns this modern laundry hamper. 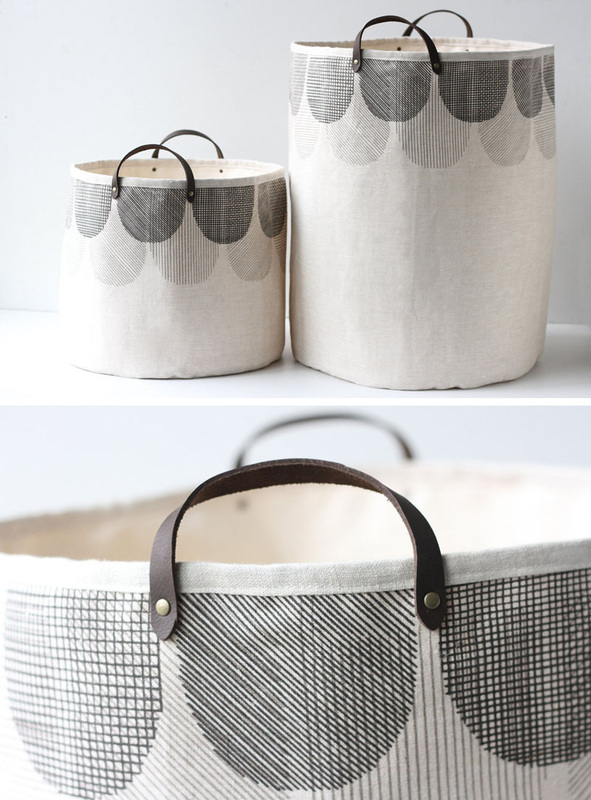 With leather and wood handles, this cotton canvas hamper is gorgeous and sensible. 9. 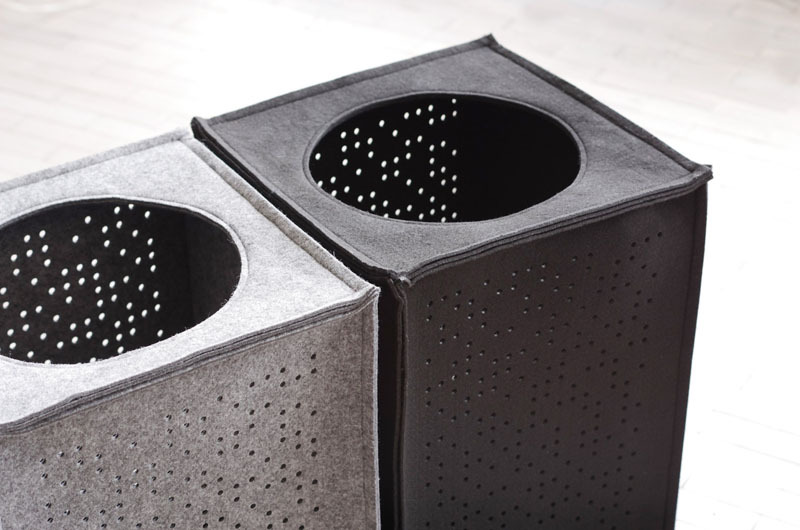 Made from reinforced felt, these grey laundry baskets have faux leather black handles. With the ability to collapse, these baskets are perfect for toting things around, and can be stored after use. 10. 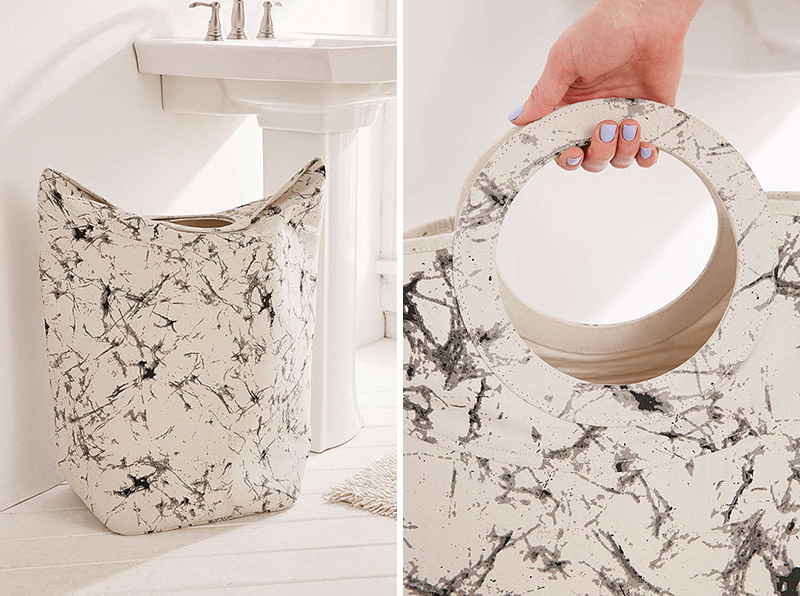 This canvas laundry hamper has a unique black and white Batik-print, making it stand out in any room. Circular handles that pop up make this basket easy to carry anywhere.